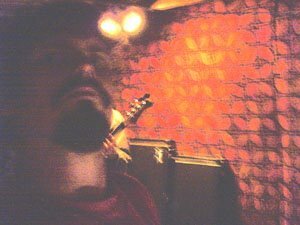 Simply a reaction to stupidity, I will sometimes write about my passions, MMA fights, Firearms and Music, but mostly I will be making fun of the morons I stumble across in cyberspace. As Satire and Parody it's all in Jest and under freedom of speech legislation, all perfectly legal. So if it offends you, GET FACKED! 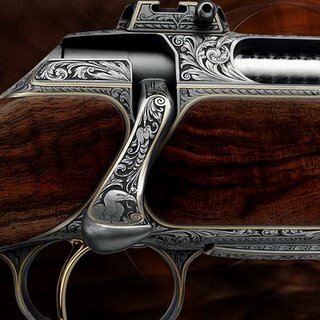 The Sauer & Sohn name is synonymous worldwide with the art of gun making. They have been making guns since 1751. They are Germanys oldest gun manufacturer. Sauer & Sohn first produced defense and military weapons, eventually turning their focus to hunting guns. From the very start, the company made it a priority to use high-grade materials and processing methods core values that are still maintained today. The beautiful rifles shown here are from the "Meisterworks" collection. 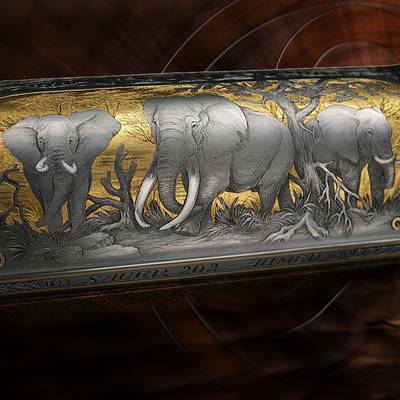 You can have your own unique weapon made and hand engraved. If you have enough deutchmarks! Ahmed of Marsabit was and still is the most famous elephant ever to have roamed the African continent. The territory around Mount Marsabit in Kenia may always have been renowned for its extraordinary tuskers, yet this particular ”Bwana Tembo” eclipses all predecessors. The S 202 ”Ahmed of Marsabit” tells the story of this unique creature. 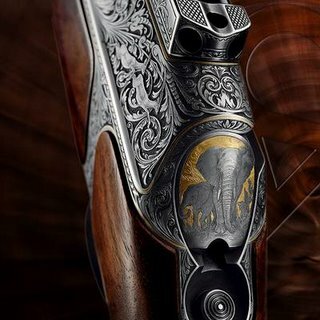 Eternalised in steel engravings on a big game rifle, this legend is also a testimonial to the legal and effective hunting of big game that contributes decisively to the preservation and diversity of species living in the wild. Born in 1919, Ahmed grew to become a truly unique giant, justifiably known by the natives and big game hunters alike, as the”King of Marsabit”. In 1970, in order to protect him from poachers, former president of Kenia, Jomo Kenyatta, placed the elephant under his protection by presidential decree – an unparalleled occurence in the history of the country. Thenceforth, the giant was watched over day and night by two hunters. Then one morning in 1974, after having waited in vain for their charge to reappear from the copse he had disappeared into the night before, his personal body guards decided to go and look for him. When they found Ahmed dead, he was not lying on his side, but resting majestically on his famous tusks, half leaning against a tree. He was 55. Today, Ahmed of Marsabit can be admired as a mounted exhibit in front of the Kenian National Museum in Nairobi. very nice post thanks for sharing it.